The white bean topping seemed a bit bland on its own but all the flavours did come together in the end resulting in a gorgeous bruschetta that I can’t wait to make again. Fresh, simple and quick – my favourite kind of recipe! Drizzle some olive oil on one side of the Ciabbata and season with some salt. Heat a griddle plan over high heat and toast the ciabbata for a few minutes on both sides until you start seeing brown griddle lines and the bread is crispy. In a separate pan, cook the onion in a little olive oil until softened. Add cherry tomatoes and cook for a few seconds followed by the chopped parsley. Drain and add the cannellini beans. Season with salt, pepper and chilli flakes and cook for a couple of minutes. Rub the clove of garlic on each Ciabbata slice – this step is important as the garlic really brings the flavours together. 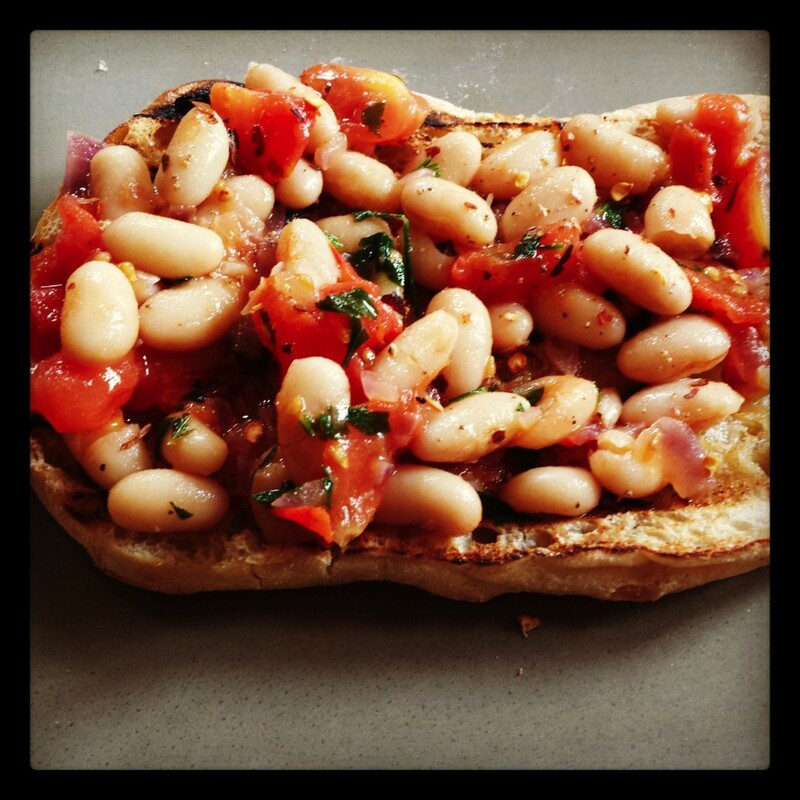 White Bean & Cherry Tomato Bruschetta is delicious on its own as a satisfying light meal or as a delicious starter. Buon Appetito!